A Supreme Court Bench comprising of Justice M.B. Lokur and Justice U.U. Lalit has held that in a case where there is a pre-existing order of a foreign court of competent jurisdiction to decide whether a child should be repatriated to the foreign country and the domestic court decides to conduct an elaborate inquiry (as against a summary inquiry), it must have special reasons to do so. The Court was considering the validity of refusal of a Writ of habeas corpus by the Madras High Court, for production of the children of the Appellant. The appellant sought their production to enable him to take the children with him to the U.K. since they were wards of the court in the U.K. to enable the foreign court to decide the issue of their custody. The Supreme Court opined that the High Court had erred in declining to issue the Writ. The husband is a citizen and resident of U.K. while the wife is a resident and citizen of India. Four years after the marriage, the wife acquired British citizenship and a British passport. They bore 2 daughters out of the wedlock. After experiencing matrimonial problems, the wife returned to India with the daughters and filed a petition under Section 13(1) (i-a) of the Hindu Marriage Act, seeking divorce. An application for custody was also filed by the wife. Subsequently, the husband decided to initiate legal action and petitioned the High Court of Justice in U.K. for making the children as wards of the court. It seems that along with this petition, he also annexed documents to indicate (i) that he had paid the fees of the children for a private school in U.K. with the intention that the children would continue their studies in U.K. (ii) that the children had left the school without information that perhaps they would not be returning to continue their studies. On 13th November, 2012 the High Court of Justice passed an order making the children wards of the court “during their minority or until such time as this provision of this order is varied or alternatively discharged by the further order of the court” and requiring the wife to return the children to the jurisdiction of the foreign court. 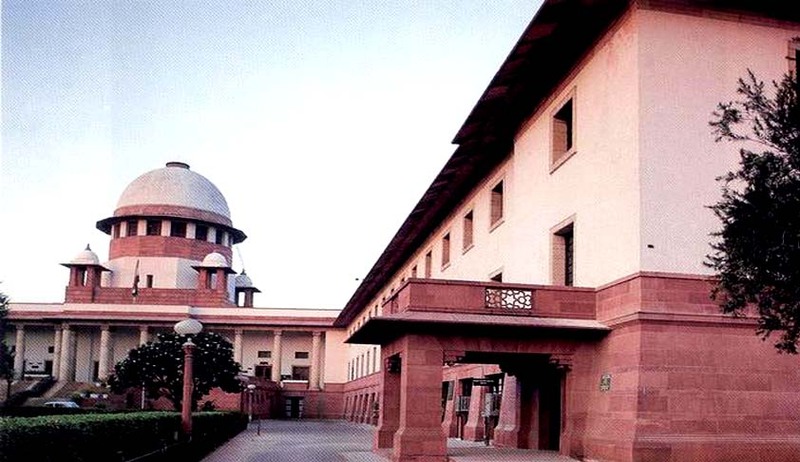 Another order was passed by the foreign Court, renewing its request to the administrative authorities of the British Government in India and the judicial and administrative authorities in India for assistance for repatriation of the wards of the court to England and Wales, the country of their habitual residence. A Writ of habeas corpus was rejected by the Madras High Court. The Madras High Court, in its decision, took the view that the welfare of the children (and not the legal right of either of the parties) was of paramount importance. On facts, the High Court was of opinion that since the children were in the custody of the mother and she was their legal guardian, it could not be said that the custody was illegal in any manner. The Court was concerned with two principles in the present matter. They are (i) The principle of comity of courts and (ii) The principle of the best interests and the welfare of the child. These principles have been referred to “contrasting principles of law” but the Court noted that they are not ‘contrasting’ in the sense of one being the opposite of the other but they are contrasting in the sense of being different principles that need to be applied in the facts of a given case. The Court then went on to observe that the “most intimate contact” doctrine and the “closest concern” doctrine of Surinder Kaur Sandhu v. Harbax Singh Sandhu, (1984) 3 SCC 698 are very much alive and cannot be ignored only because their application might be uncomfortable in certain situations. According to the Court, it is not appropriate that a domestic court having much less intimate contact with a child and having much less close concern with a child and his or her parents (as against a foreign court in a given case) should take upon itself the onerous task of determining the best interests and welfare of the child. A foreign court having the most intimate contact and the closest concern with the child would be better equipped and perhaps best suited to appreciate the social and cultural milieu in which the child has been brought up rather than a domestic court. This is a factor that must be kept in mind. “If the reluctance to grant respect to an interim or an interlocutory order is extrapolated into the domestic sphere, there may well be situations where a Family Court in one State declines to respect an interim or an interlocutory order of a Family Court in another State on the ground of best interests and welfare of the child,” it added. The Court also stated that there may be situations where an interim or an interlocutory order of a foreign court may be ignored. What needs to be considered is to determine, prima facie, that the foreign court has jurisdiction over the child whose custody is in dispute, based on the fact of the child being ordinarily resident in the territory over which the foreign court exercises jurisdiction. The Court further added a word of caution, stating that since there is no finality to an interlocutory order, it would merely have a persuasive value for a penalizing result. The Court hence directed that the mother should take the children to UK in their summer vacations and comply with the order of the foreign Court. The cost of litigation would be borne by the husband. In case the mother does not comply with the Court’s orders, the father was directed to take the children to U.K. for further proceedings in the High Court of Justice.